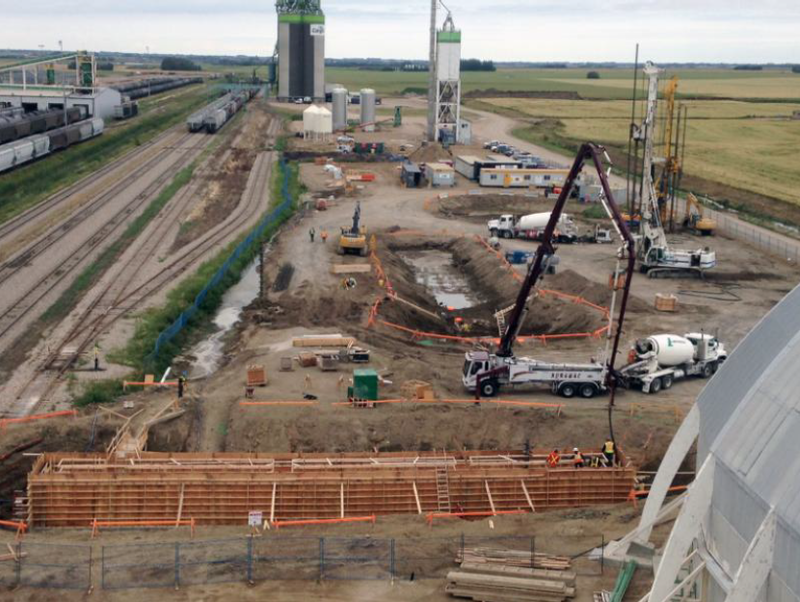 Ground conditions on site are characterized by soft clay followed by stiff till in 17m depth. 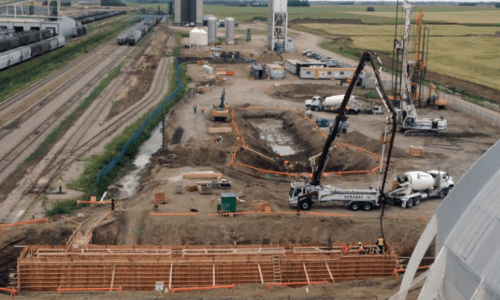 The CMCs were employed to densify the ground, while CFA piles provide a direct support for the heavy equipment of the fertilizer facilities and the product load out towers. 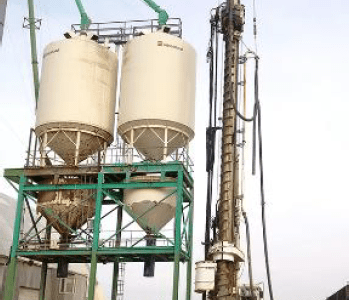 The AGRA – Geopac team installed a total of 1220 CMCs and 34 CFA piles up to a depth of 20 m with each company contributing a rig to split the workload. 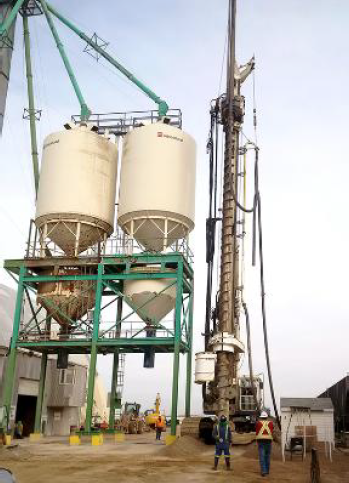 A Recepieux system imported from France was trialed on this project and performed well to break concrete at the CMC cut off 4m below the working platform. Static pile load tests that were completed before production start to verify the design’s adequacy for the given ground conditions and building loads yielded superior results.